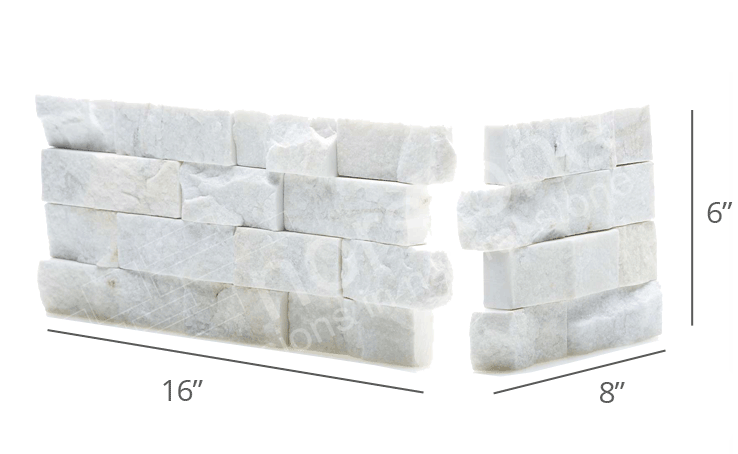 A part of our collection of Ledgestone Panels, the White Quartz Rock Panel is our flagship product designed initially to quickly transform plain landscaping walls into textured, natural stacked stone walls. Due in part to its light weight and the straight-forward installation it offers, it didn't take long for this product to become a favorite interior wall finish among renowned interior designers. 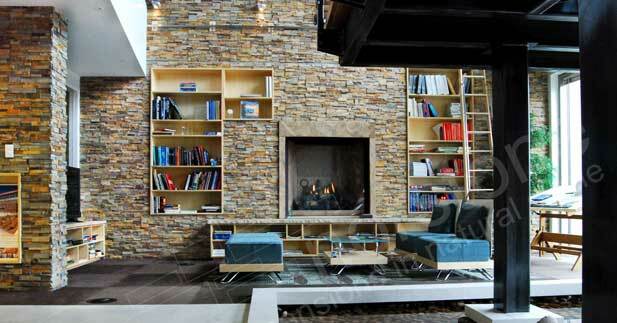 The unique look of a white stacked stone fireplace has become a favorite application of many of our clients. 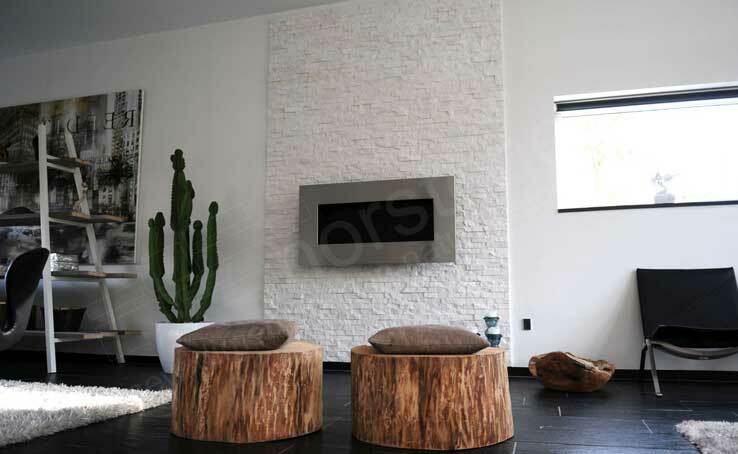 Used consistently on commercial and residential interiors, the White Quartz Rock Panel is fantastic choice where cool, textured white tones are desired. Interlocking Finger Joints are the only proven method for creating a truly seamless finish along the corner. Norstone's patent-pending Fingerjoint Corner System, which is available for all our Wall Panel Products, consists of two smaller panels which join together at the corner to create the perfect corner treatment. Each pair is built together at the same time. This ensures a seamless fit every time and is a critical part of many stone veneer applications to create a finished look on projects like white stone fireplaces and feature walls. 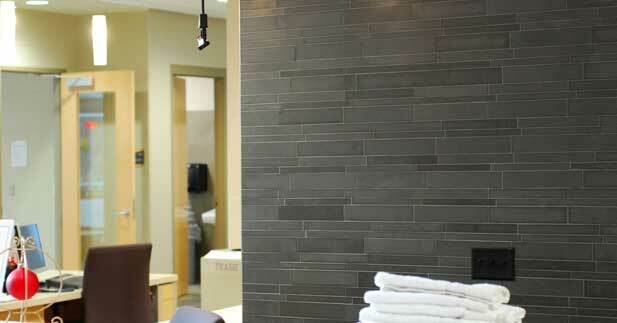 The White Quartz Rock Panel is our flagship Ledgestone Panel product, complete with all the bells and whistles. 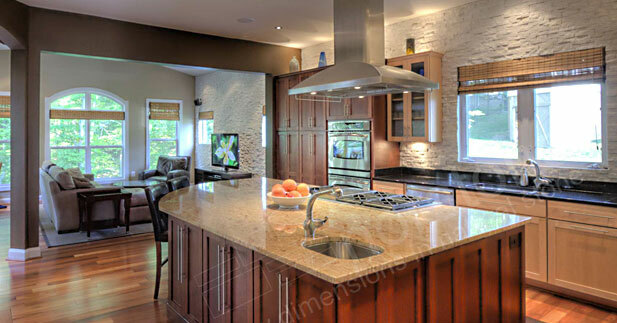 With ease, it transforms feature walls, fireplaces, kitchen backsplashes, pools water features, and the like. Check out these links for more information or Contact Us today to discuss how we might meet the needs of your project.